The students began their visit by paying their respects to Professor Asakawa, laying flowers on his grave. 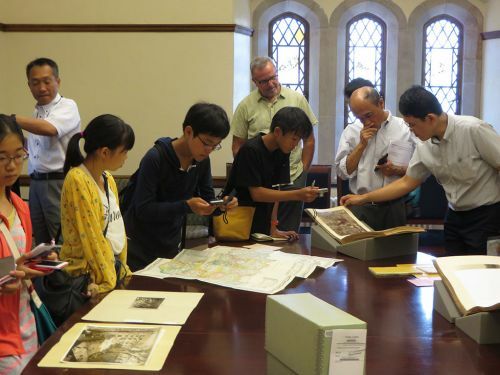 They then had a full tour of the East Asia Library and the Beinecke Rare Book and Manuscript Library, and were given the opportunity to see for themselves some of the Professor’s original writings. The group then visited the Asakawa Garden located in the Killingworth Courtyard in Saybrook College, and ended the tour with a sushi lunch at the Pauli Murray College Fellows Lounge. For more pictures, please click here.